Vintage and modern Airstream has used many different power converters and distribution panels over the years and the trade name "Univolt" has been commonly used for all of them. Some of the original units were actually labeled "Univolt" Today's technology is far advanced from the old Univolts and a modern switch mode converter will undoubtedly increase the performance of your DC system and battery charging capability. Many older "Univolts" also housed the DC distribution fuses as well. Since these are no longer produced, a separate fuse panel must be installed. This is not a difficult job. 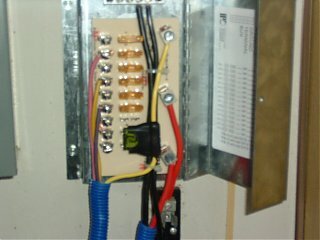 Here is a typical wiring diagram to illustrate installing a modern deck mount converter with a separate fuse panel. If your unit has a separate DC distribution panel located on a wall for instance, you do not need a new fuse panel unless you want to replace glass fuses with modern automotive style blade style fuses common in newer RVs. When installing a modern converter, you will not have use of the AC power-on light found in most older Airstream control panels. 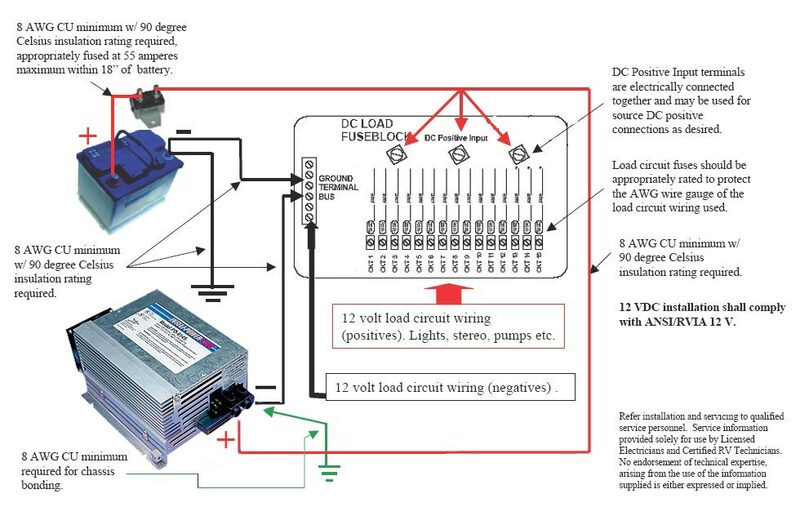 Here is the Bill Worden method to make the power-on light work when connected to AC shore power. AC/DC distribution for your restoration or to maybe clean up that old "Rats nest" we recommend the PD5000. Includes outlet for your converter. Lifetime Warranty! Newer Airstreams used the Parallax 7355/8355 (30 amp service) or the 555/5300 (50 amp service) power center. If you wish to upgrade to a multi voltage stage converter/charger, we have an upgrade available for either. Keep in mind that 30 or 50 amp service refers to the incoming AC service only and converter/chargers are rated in their DC output. Both the 7355/8355 and 555/5355 are 55 amp DC output converter/chargers. Tip: The 4655 kit comes with a new DC fuse board. If you purchase the optional 4600 series remote with your kit, you can skip the fuse board installation since the newer Parallax units already have a modern fuse board. 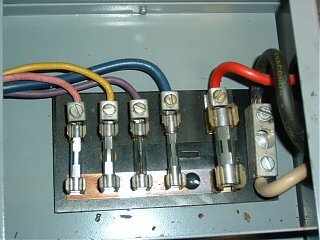 The kit comes with a fuse board for use with the older 6300 series units but they were never used in Airstream trailers. Keep it in your toolbox in case you or a friend needs to replace one someday. This will save considerable time during installation and all of the controls for the Charge Wizard found on the fuse board are duplicated on the remote. There are currently no pre-made kits for the 555/5355 like there are for the 7355 and 8355, however many or our customers are changing out the lower converter section with a Boondocker 1260 HW (Hard Wire) to have the benefits of a multi voltage stage converter/charger. It's not a difficult job to do the conversion yourself or have your installer do the conversion for you. Click here for photos a typical 555/5355 conversion to a multi voltage stage converter. (Many thanks to Ms Tommie Fantine Lauer for providing photos of her upgrade to the Boondocker 1260 HW She did a great job and the photos are used with her permission. 6 volt AGM batteries that fit in the standard Airstream Battery compartments? No need to modify the tongue. 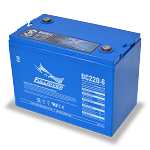 They are 220 Amp Hours and have a 7 year warranty. The number one cause of premature converter or inverter failure and electrical problems in general is power surges, accidental connection to 220, lightning, open neutral, open ground, reverse polarity, etc. Cheap insurance is a surge protector or EMS. Generators and campgrounds (especially older ones) are the primary cause and its very easy to prevent.